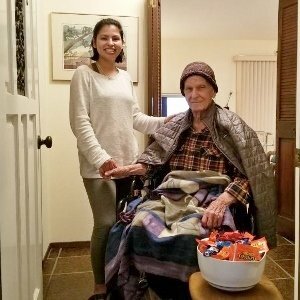 Mr. B has traditionally loved Halloween, and handing out treats to the neighborhood kids each year. Unfortunately, there were some concerns that he just might not be up for it this year. 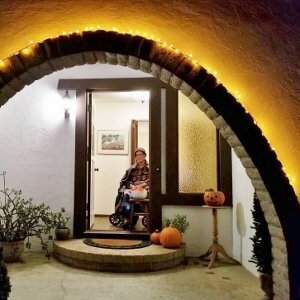 With his family’s support, our amazing Caregivers worked their magic, and kept this joyous tradition alive for Mr. B. Needless to say, it was a spooky, but very pleasant evening, with smiles all around! After all, its about Quality of Life! Happy Halloween Mr. B!